From storing lots of decorations—garlands, stockings, ornaments!—to stashing a big pile of presents, the holiday season calls for a lot of storage space. If your home already feels filled to capacity and you haven’t even started your shopping list yet, then now’s the time to declutter and pare down before the holidays start. To find the hidden storage space hiding in your home, here are 7 things you can get rid of now and never miss. Start with the items that demand the most real estate, then dive into the smaller items. By the time you’ve made it through the list, you’ll have plenty of room for this year’s tree and the ever-growing present stash. If the goal is to make room for the holidays, then the most logical place to start decluttering is with your holiday decorations. When it comes to clothing, you’ve probably heard the rule that if you haven’t worn it in 12 months, it’s time to toss it. 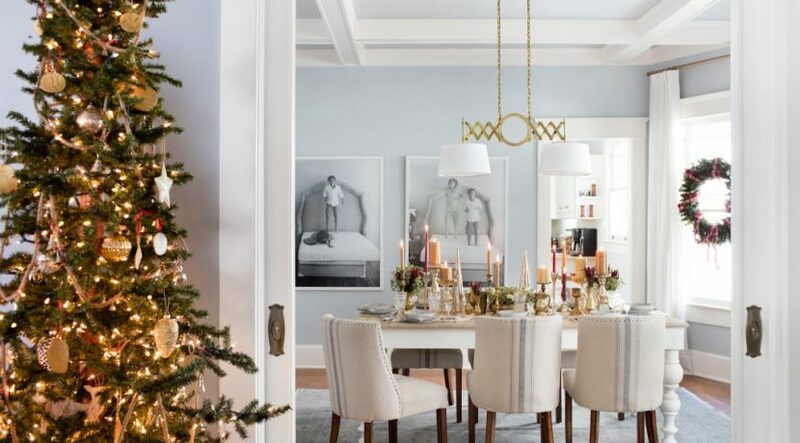 Well, when it comes to holiday decor, if you haven’t used it the past two Christmases or Hanukkahs, it may be time to let it go. 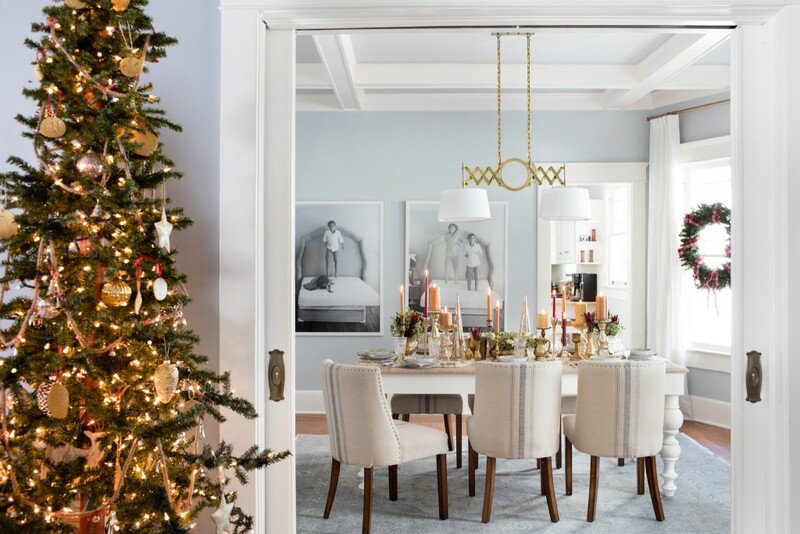 Once you’ve tossed out the artificial tree that’s seen better days and the broken ornaments you’ve been hanging onto for sentimental reasons, you’ll have more space for new decorations. And if you’re planning to buy brand-new decorations this year but your old ones are clean and undamaged, consider donating them to the Salvation Army or another organization. If you get sentimental around the holidays, there’s a good chance you’ve saved every single holiday card for the past couple decades. To make room for this year’s influx of well wishes and holidays tidings, go through your stash. Consider tossing out any cards that are simply signed, and hang on to those with heartfelt, personal messages, family updates, or special photos. If you have kids, there’s a good chance you’re storing toys they outgrew years ago. If it’s in good condition, that bike they haven’t ridden since they were 6 can be donated (check with your local Goodwill to see if they accept bikes). Then, ask for your children’s help sorting through their toys to decide that to keep and what to give away. We all know that sometimes a gift can end up being a burden. When it’s something you’ll never use or that you simply don’t like, you may feel guilty about giving it away, but hanging onto it requires using valuable storage space in your home. Before the holidays, take inventory of the unwanted gifts you have collected over the years and see if there are any you may be able to part with. After all, no one needs three waffle irons. Take a peek at your linen closet. If you find dingy towels or old bed sheets you wouldn’t use yourself—let alone present to overnight guests—it’s time to toss them. If the linens are too tattered to be reused, bring them to a fabric recycling center so they won’t end up in the landfill. During the holidays, our kitchens are one of the first places that become cluttered. To make space before you start collecting new cookie cutters and splurging on festive hand towels, take a look what you already own. If you find you have multiple spatulas or a small assortment of cheese graters, pick out your favorites and let go of the duplicates. When the drawers are organized and you can find the tool you’re looking for more easily, you’ll end up feeling like you own more rather than less. Even if you don’t have time for a complete closet decluttering, try this speed version. Take a look at your winter clothing, and separate out anything that makes you think, “Ugh, I don’t want to wear that.” (Okay, unless it’s the big parka you save for snow days.) If it doesn’t make you feel good now, you’re probably not going to want to wear it one month from now. Keep in mind the 12-month rule: if you didn’t want to wear it last winter, it’s likely you won’t want to wear it this winter either.